Fallout Shelter is a Simulation and Time Management game for PC published by Bethesda Softworks in 2016. Can you rescue the citizens? The planet has turned into wasteland because of an atomic explosion. The people’s lives are in danger. They need lots of equipment to make a living. They can’t live without your help. Your people need some places to live there at first. That’s why you have to make a big shelter for them. This shelter can include hundreds of rooms for the families. If you take care of them perfectly, The population will get increased. In that case, You will have more chance to survive in this world. Food, Water and such things are needed for the citizens in your shelter. It’s not easy to collect these resources in Fallout Shelter. You can use your men as workers in the shelter. They can work hard for you to reach higher levels. Your citizens’ happiness is so much important in Fallout Shelter. As you provide them more convenience, They become happier. Managing the time is another important thing at this simulation game. If you don’t deliver equipment like food for the citizens in the right time, Their happiness will get decreased. So, Everything should be done in its right time. As some of you know, Fallout Shelter was released for mobile phones at first. Because of its popularity among the players, The developers decided to make a PC version. You can get the latest version for free on FreeGamesDL. 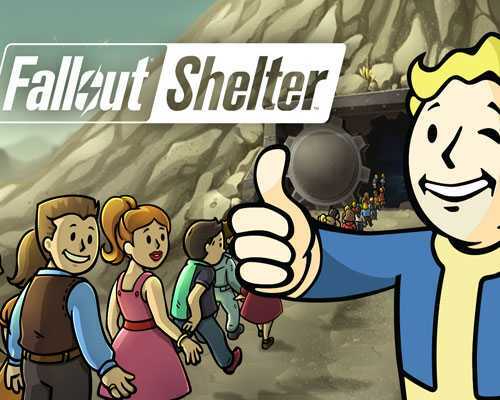 38 Comments ON " Fallout Shelter PC Game Free Download "
Visit mi youtube channel please. why this is already free just download the bethesda.net launcher. The game is alredy free aviableat steam and bethesda.net launcher. Today you were lazy! It not work on X86. How to solve it? File little big when my phone got it @25 MB but whatever.